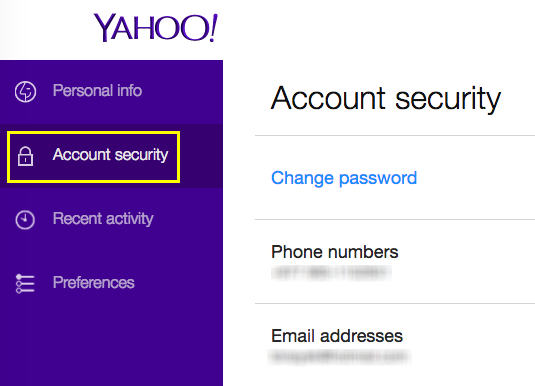 Yahoo Account Security information can be updated by yourself if you know its been compromised. 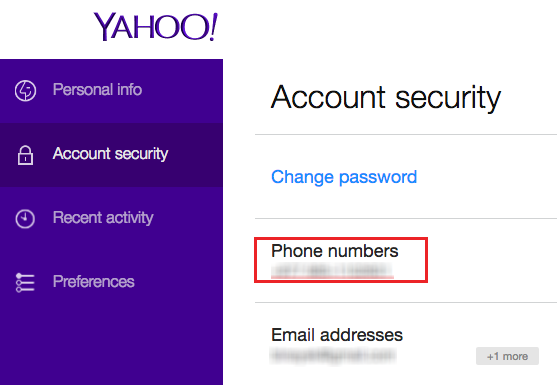 Here in this page, you’ll find and know on ‘How to change your phone/mobile number and back-up email address of your yahoo account security information. 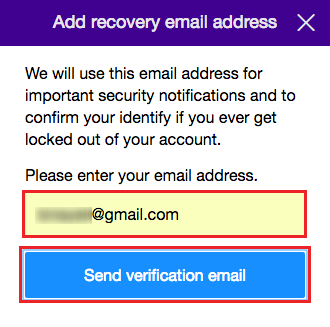 Follow our step-by-step process described below to update or change your Yahoo Account Security information. Try this on a new-window or new tab. We suggest new-page so that you can view this page and new-window side-by-side as you follow our instructions on changing or updating ‘Yahoo account security information’. Sign in to your Yahoo email account. You can do that by going to mail.yahoo.com or yahoomail.com. Do not know how to sign in to your yahoo account – know now. Once you are in your Yahoo mailbox. On the right hand upper corner of the page you’ll see a knot icon. 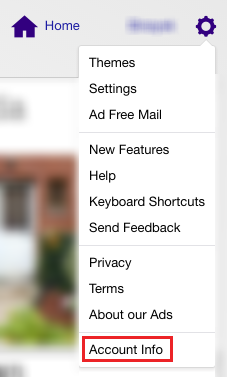 Click on it – a drop down menu will come. On the drop down menu – click on that link ‘Account info’. Check the image below for reference. New TAB will be opened on same window automatically. Switch to that. Now, click on ‘Account security’ that you’ll get on your left hand side of the page, under the ‘Personal info’. Please check image below for reference. As you can see on the left side of the menu on Account Security topic. 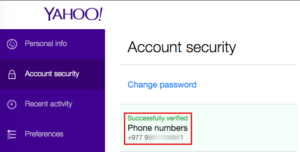 Now, to update phone number of your Yahoo Account security. Click on the Phone numbers. A pop-up window load with your previous number if you have and under that you’ll see ‘Add recovery phone number’. 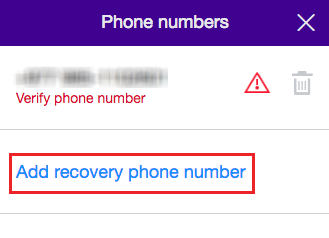 You can also delete the old number and add recovery number here. 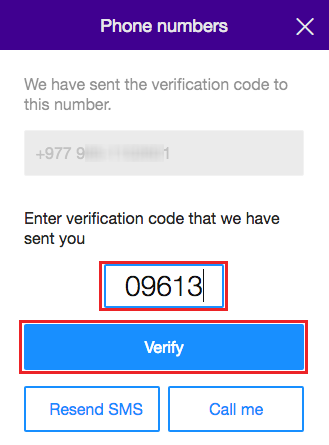 Now select your country code and add your Mobile number and click on ‘Send SMS’ or ‘Call me’ for verification. 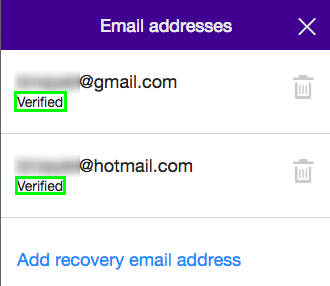 Once verified, page loads back to the ‘Yahoo Account security’ with your phone ‘Successfully verified’. Likewise, you clicked on the phone number- click on the Email addresses on the same Account security page. A pop-up window with your old email adders and ‘Add recovery email address’ will be soon. You can delete the old email address by clicking on the ‘Trash bin’ icon. 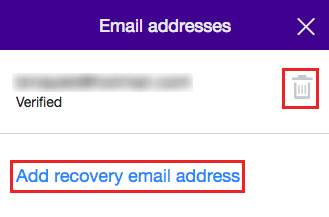 Click on ‘Add recovery email address’ to input your new email address. Enter the email address you want to save and click on ‘Send verification email’. Check for email from Yahoo on the address you have input. 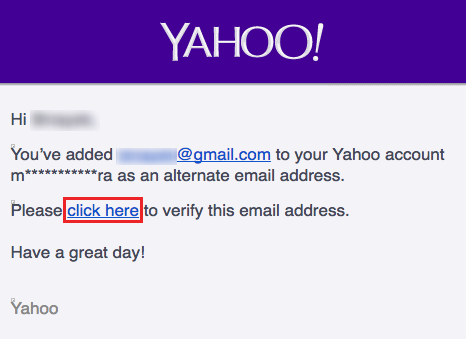 On the email that you received from Yahoo you’ll have to click on ‘Click here’ to verify to verify the email address. 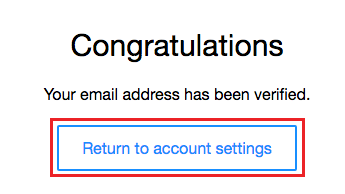 Finally, one more time you’ll have to click on the ‘Verify’ to finalize your email verification. All done. Click on ‘Return to account settings’ to check. Congratulation! This is how you can update and change your phone number and email address of your Yahoo Account security. Hope this was a good help for you. Cheers.